Human life revolves around light. Light affects our mood, improves our well-being, and enables us to experience and achieve more. SaveMoneyCutCarbon continues to work closely with global leading Signify – formerly Philips Lighting – to provide the best energy-saving solutions at work and at home. 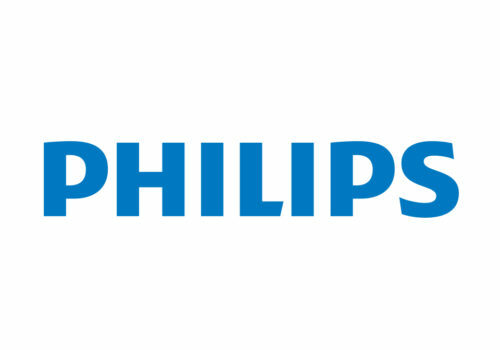 Signify is continuing to use the Philips brand for its products with same commitment to innovation and quality. We are a Value Added Partner (VAP) with Signify and this ensures that we have access to a wide range of service and lighting products that other companies cannot offer. Signify provides full support, training and early access to new products. LED lighting is perhaps the most profound change the sector has witnessed since the invention of electric light itself. LEDs are transforming the nature of lighting by opening up new possibilities for how and where artificial light is used to enhance the human experience. With Philips Connected Lighting, users and managers of indoor and outdoor spaces benefit from illumination where every light point is connected to an intelligent system that serves as a pathway for information and services, using two-way communication to enhance experience. An extensive range of LED modules and components gives total flexibility and control, including management of energy usage. The digital ceiling infrastructure provides high-quality, reliable illumination and a smart, high-bandwidth communications platform delivers extraordinary value beyond illumination. Platforms and apps turn the shared data into a source of productivity and commercialisation that benefits all. Colour variations that run into millions, together with dynamic effects now enable designers to “paint with light” matching people’s moods to the ambience of a space. Human life revolves around light. Light affects our mood, improves our well-being, and enables us to experience and achieve more. It is a vital part of making our lives fuller, more productive and safer. Philips Lighting focuses on innovative ways of using energy-saving light to simply enhance people’s lives where they live and work – in the home, at school, at work, in shops and public places, as well as on the road. SaveMoneyCutCarbon and Philips also recognise how resource conservation and climate protection will play an increasingly significant part in human health and well-being, and so ensure the effect of lighting is maximised while minimizing the energy used. Philips and SaveMoneyCutCarbon serve customers through a market segment approach that includes Homes, Office and Outdoor, Industry, Retail, Hospitality, Entertainment, Education and Healthcare. SaveMoneyCutCarbon and Philips Lighting observe and listen to customers, consumers and stakeholder to make sure we meet their needs and aspirations. We seek to deliver meaningful innovative products and solutions which simply enhance people’s lives with light. Did you know that buildings and streets account for around 75% of all energy used for lighting? Energy-efficient lighting technologies can deliver realistic savings of at least 40%, globally. As people focus increasingly on the importance of climate protection and become more environmentally aware in general, energy efficient lighting solutions are increasingly in demand. SaveMoneyCutCarbon supports the goals of Philips Lighting and the broader Philips organisation embedded in the EcoVision programme that strives to make the world healthier and more sustainable through innovation, aiming to improve the lives of 3 billion people a year by 2025. Philips Lighting offer an exceptional range of LED lamps that cover every need while providing the finest quality lighting and smart control. The Philips MASTER LEDbulb range is perfect for general lighting applications in the hospitality industry, with a dimmable warm glow effect providing a welcoming atmosphere. The unique design radiates warm light in all directions, which sets it apart as an alternative to the incandescent lamp. It is well suited to public areas such as lobbies, corridors, stairwells, where the light is always on. The MASTER LEDbulb ensures highest quality light, big energy savings and lower maintenance costs The range is compatible with existing fixtures with an E27 or a B22 holder and designed for retrofit replacement of incandescent bulbs. Philips SceneSwitch LED lamps give you flexibility and control over a range of light settings when you might need to change to a cool light or have the cosy ambience of a warm glow, with just one bulb, candle or spot – there’s no need for a dimmer. Simply with a flick of your current switch, SceneSwitch optimises lighting for relaxation, hobbies, recreation or work. No extra installation needed. The MASTER LEDspot MV ExpertColor creates ideal ambience through quality lighting that has a customised spectrum, high CRI and deep dimming features. It’s a perfect choice for hospitality venues, homes and restaurants that demand a warm, welcoming atmosphere. The innovative, trimless lens design has a clean and neat look that will grace almost any interior decor. 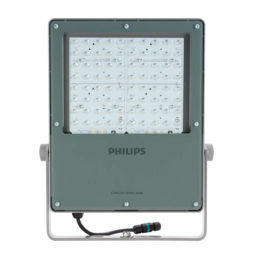 In addition, you can take advantage of the full ExpertColor family, which also includes LEDspot LV and LEDspot Par lamps. The beauty of Philips Classic Filament LED Lamps is their classic heritage design that echoes the familiar shapes of incandescent bulbs blended with the benefits of the long-lasting LED technology. 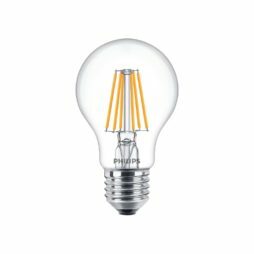 The Classic lamps reduce energy consumption by about 90% compared to traditional light bulbs and have a beautiful, enhancing warm-white light.